Our destinations section is here to offer you ideas and inspiration on where to go and what to do based on our personal experiences. And as we haven't been fortunate enough to travel everywhere, we welcome our readers to contribute their travel tales as well. Of course when you go to Istanbul, Turkey you’ll be drawn to the ancient sites and Ottoman history in Sultanhamet – the old part of the city. However, many career breakers are looking for more local connections and experiences the longer they travel. If you are looking for local experiences and a chance to escape the tourist crowds in Istanbul – here’s how! 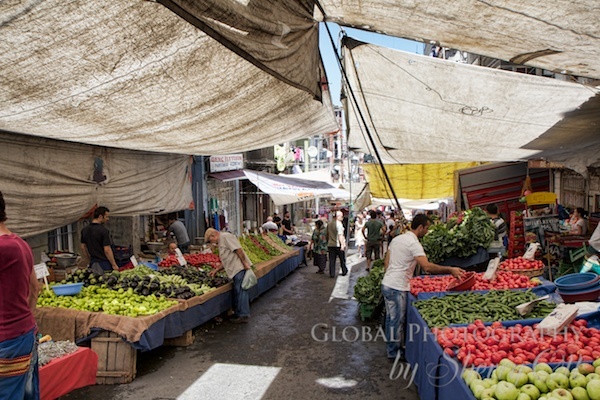 Skip the Grand Bazaar and Spice Bazaar and if you really want to go local – then head to the Sunday market in Tarlabasi. 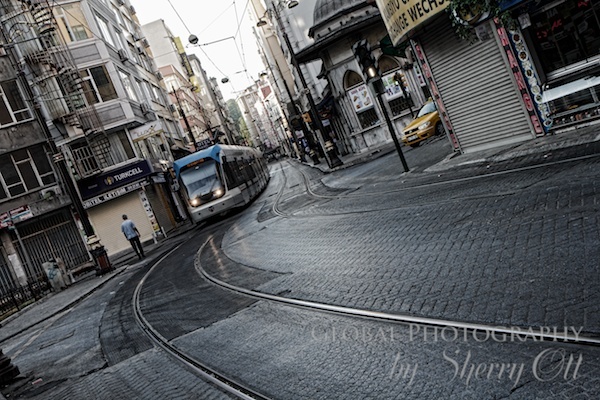 Just down the hill from the glitz of Istiklal Street is what many locals might refer to the ‘wrong side of the tracks.’ This is a neighborhood that has not quite succumbed to gentrification yet – but I’m pretty sure in a few years it will look very different. However, if you are looking for an authentic experience – this is it. I spent a few hours at this market shopping for produce and taking photos. Every single vendor and person there were a joy to interact with. I was constantly stopped and asked if I would take a photo or simply try food – as a foreign traveler, I was definitely in the minority. Plus the best part is that I walked away with bags of produce and only spent about $10 US. 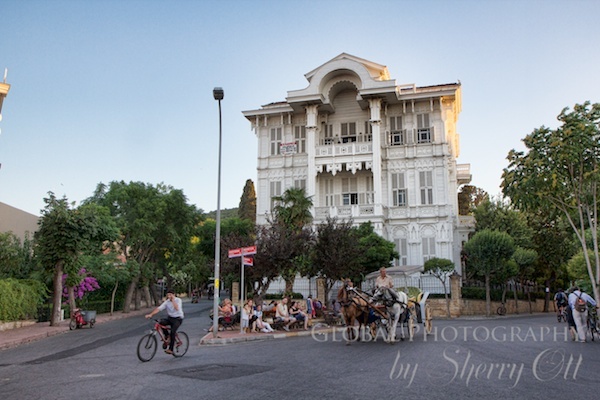 Go where the locals go to escape the loud, crowded streets of Istanbul – Princes’ Islands. It’s a short 50 minute ferry ride to the string of 4 islands – Kınalıada, Burgazada, Heybeliada and Büyükada. Ferries depart from Bostancı, Kartal and Maltepe on the Asian side, and from Kabataş on the European side and cost about 2 Turkish Lira per ride ($1.10 US). During the Byzantine period, princes and other royalty were exiled to the islands which is why they are referred to as Princes’ Islands. But these days it’s a pleasure to escape to these islands where little seafood restaurants dot the perimeters and there is no motorized traffic. You’ll hear (and smell) plenty of horses, though, as horse and buggy are the main forms of transportation for people. Go spend a day at the islands and soak up what it’s like to be a local Istanbulite escaping the city! If you really want to experience the local life on the islands, then go out on a weekday as the islands are filled with the people who live there as opposed to just Istanbul day trippers that head to the islands on the weekends. Most tourists stay in Sultanhamet and Beyoglu – but if you want to get really local then venture out further past the old city walls! I took a very in depth walking tour of the Balat and Eyüp neighborhoods and quickly realized that they had a completely different vibe then what I had so far experienced in Istanbul. Most notably the Eyüp Mosque is one of the most sacred places in Istanbul. The mosque of Eyüp is a place of pilgrimage for Muslims from ancient times. In addition, Eyüp has some of the most spectacular views of the city and Golden Horn if you ride the cable car up the hill. Tourists seldom get to this part of the city. In addition, if you want to see modern Istanbul then head to the Cevahir Mall and neighborhood just a short metro ride past Taksim. There, you will be amazed by what modern Istanbul is really like – businessmen and women in suits, chain stores, and even an amusement park inside the mall. I rented this room in an apartment behind the mall and seldom saw another tourist around! Lose your shyness and take any opportunities you can to meet locals as odds are you will end up with a new friend who will take you around to their favorite places and share their favorite foods. Before I went to Istanbul I reached out to friends who had been there before to see if they could introduce me to any local contacts they had. I ended up meeting 3 or 4 different locals through this course of action and had my own personal tour guides to Istanbul! The Turks are extremely kind and excited to show you their city and culture, so be sure to take advantage of your connections. 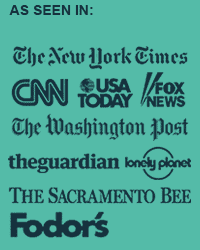 I stayed in a couple different neighborhoods while renting apartments through Wimdu. Each neighborhood had something different to offer – but each also had one thing that was the same – a real local culture that I quickly became immersed in. 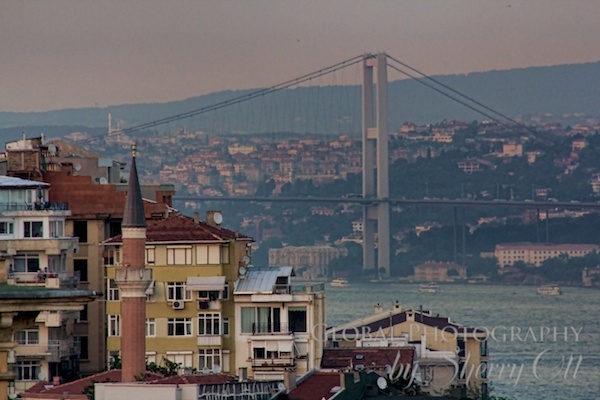 Wimdu has all kinds of neighborhood choices in European and Asian Istanbul that get you out of the tourist areas and hotels and into real neighborhoods. Plus, by staying in an apartment, I was lucky enough to meet the apartment manager, Fatih, who also showed me around the neighborhood and made sure I knew where the market and restaurants were. Skip the taxis whose drivers seldom speak English and rarely get you to your desired destination. Instead get comfortable using local public transport. Get an Istanbul Card and it will be your gateway to buses, ferries, trams, metros, and funiculars. The transportation system in Istanbul can seem confusing as there are so many options and none really connect exactly with each other – but they all do work together to get you across the city. In the evenings around 6PM the trams can be very crowded with locals going home from work – but it’s a fun experience to see and interact with the commuters! By going more local in Istanbul, your time there will be more rewarding and you’ll leave Turkey feeling as if you know more about the modern day culture of this fascinating country and city! Disclosure: Sherry Ott was a guest of Wimdu.co.uk during her stay in Istanbul. However all of the opinions expressed here are her own. 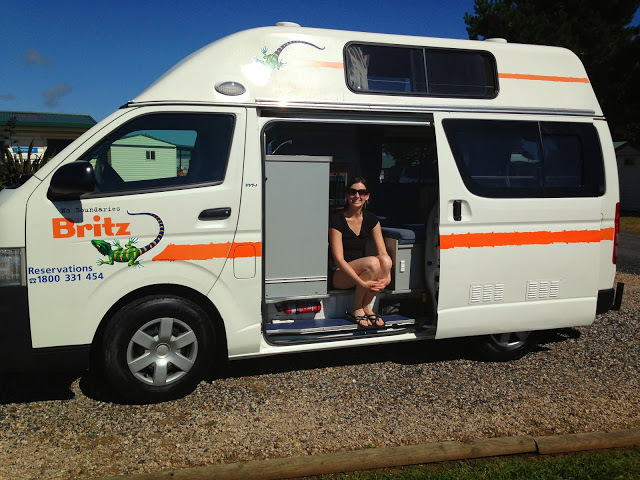 Earlier in the week Amelia Tockston wrote a post about her experience with Camper Van Relocation in Australia. The following is a detailed breakdown and cost comparison for anyone interested in doing the same on their career break trip. 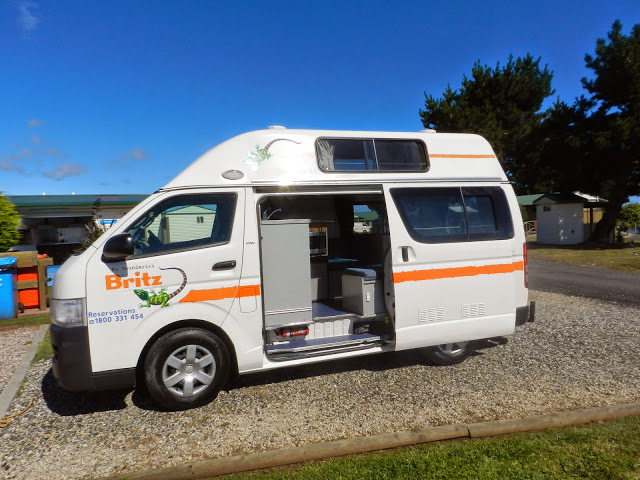 I had a Britz Hi-Top, 3 person sleeper — all to myself! Van amenities included: stove, fridge, microwave, kettle, utensils, cups/bowls/plates, table, bed, linens/pillows/sleeping bags, sound system, sink, electrical plugs, window screens, storage bins and lights. I could extend my contract for $75 day (max 2 days). But in my case, I could extend for one day only, since paying customers needed the van on Dec 29 in Hobart. My schedule: Depart Melbourne Dec 24, arrive Hobart Dec 28. $12/day to reduce damage expenses to maximum $500 out-of-pocket, in the event of an accident. Important note: If relocation driver rolls the van, rental insurance does not apply and driver is responsible for full cost of vehicle damage. And since rolling a vehicle generally totals a car, the driver would be responsible for the cost of entire van! Horror story, a tourist from China, with no insurance of her own, rolled her luxury camper van and subsequently owed the rental company $170,000 AUD. Lesson here: DO NOT roll your camper van, take corners cautiously and slowly. No damage to vehicle and I arrive ON TIME. If vehicle is returned damaged, I would forfeit up to $500 AUD. If I failed to return the van by 3 pm on December 28, I would forfeit the entire $1,000 AUD. Not a good day to be late! I was receiving $350 AUD towards fuel and ferry crossing. The least expensive ticket for a Melbourne to Devonport, Tasmania on Christmas Eve is $369 AUD. And this is for a recliner! Part of the pros and cons of traveling over the holidays. December 28 – Drive Richmond / Drive to Hobart Int’l Airport, fill up petrol and clean out van / Return van to Britz office before 3 pm – don’t be late! US driver’s license and passport were sufficient for the rental (I do not have an international license). Relocation driver must be 21+ years of age. This is the amount charged per kilometre if you exceed the kilometre allowance. This did not apply to me. Imoova.com charges a $25 service fee. To avoid this charge in the future, book directly through rental company, thl (www.thlonline.com). *Over the Christmas period, the minimum hire period is 10 days; so a normal 5-day hire is not possible unless driver is relocating the vehicle. Above $770 AUD quote is based on 5 days; a 10-day trip would be $1,540 AUD just in daily rental fees! Amelia Tockston has maintained a longterm love affair with travel. Since beginning her career break in January 2013, she has explored New Zealand’s north and south islands, eastern Australia, Chukotka Russia, Mexico City, Singapore, Palau in the South Pacific, Indonesia, and hopes to reach Nepal and India this coming fall. Prior to taking her career break, she worked for an expedition travel company for nearly eleven years directing the Marketing department. Amelia feels the most alive and present when traveling and has an eye to appreciate the boundless wonders that Mother Nature offers. She’s also realized, particularly while on sabbatical, that the people she’s encountered and their stories are equally as inspiring as the destinations discovered. As a world-traveling backpacker, I’m always on the lookout for best value, whether for quality cheap eats, comfortable budget accommodation, or transportation tips. Because I know the more money I save here and there adds up to more time—translating to a longer career break! Finding the best value; however, isn’t only about saving money, it’s also about creating more authentic and interesting adventures. Typically, the most obvious, convenient options result in more crowds, more cost, and an overall less personal experience. For example, would you rather sit down at an international restaurant in town center and order an overpriced burger and fries, or walk down an alley and join locals for a plate of traditional fare and spend one fourth the price? You might regret having that extra chilli, but at least it made for a good story, a lesson learned, and cleaned out the sinuses! Learning the ins-and-outs of a new place can be time-consuming and challenging—and not without surprises—but in the end, rolling up my sleeves and diving in has been far more fun and rewarding. While I discover many great finds through trial and error, I also love gathering recommendations from fellow travelers. One such travel tip came from a friend living in Melbourne and led to the highlight of my two and a half months in Australia, not to mention my most memorable Christmas to date: Camper van relocation in Tasmania. 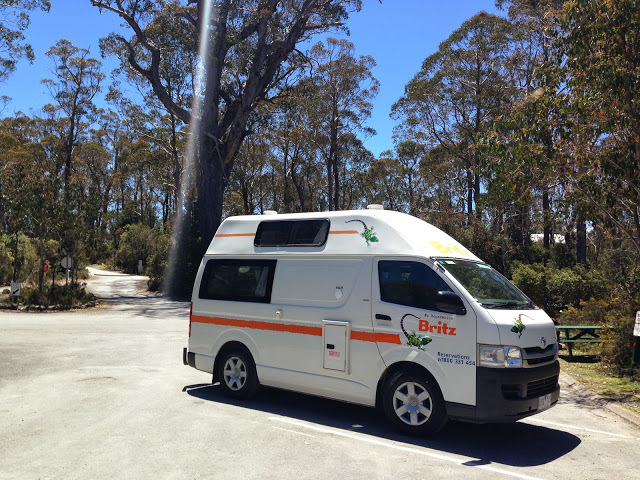 I had heard from several Aussies that Tasmania, similar to New Zealand, is best explored by camper van (or rental car plus camping equipment). I initially shrugged at this idea. As a solo female traveler, I wasn’t keen to tent camp and knew from prior research that camper van rentals in this part of the world can cause serious cash hemorrhages. So the less-than-ideal compromise was to rent a small car and overnight in hostels, but I knew this option would restrict me from staying in remote wilderness areas. Naturally, when my friend mentioned relocating a camper van for $1 a day my ears perked up like satellite dishes. Could this be true? I had never heard of such a deal! She had heard of a website providing a list of available routes in Australia, New Zealand, Canada and USA: www.imoova.com. I honed in on a route over the Christmas holidays: “Dec 24 – Dec 27, Melbourne to Hobart, $5 / day, $350 towards fuel and ferry crossing.” I couldn’t pick up the phone fast enough. By the end of the conversation, I had deposited and confirmed my reservation. At the Melbourne rental office, I was required to watch an instructional video on vehicle operation and features as well as review and sign a stack of paperwork. I’ll admit to my growing apprehension while signing the contract. Somehow, I had to get myself to the opposite end of town to board the Spirit of Tasmania with the following in mind: I had never driven a proper fully-equipped camper van, I was not accustomed to left-hand manually shifting, and it had been nine months since I had driven on the left! Luckily, I had given myself the entire afternoon for pick-up and orientation. Once all questions had been answered and documents reviewed, I had a good idea of what I had signed up for. Amelia compiled a detailed cost comparison of doing a camper van relocation vs. a normal camper van rental that we’ll be posting on Thursday. Be sure to check back! Before heading to the port, I completed several laps around the parking lot to get my bearings, then hit the grocery store to stock my new kitchen. Crossing the city at rush hour caused a few grey hairs, but once safely at the ferry terminal, I smiled at a setting sun and turned up my reggae tunes. After a nine-hour ferry crossing and nearly no sleep, I stepped out on deck to the soft morning glow of Devonport, Tasmania and felt a sudden rush of adrenaline. It was 6am on Christmas Day. The entire town was still asleep except for the odd early-morning jogger and dog walker. I found a nice park overlooking the sea to enjoy my first camper van breakfast of instant oats, fruit and tea. Normally, Christmas mornings consist of gift exchanges, mimosas, and my mom’s famous egg casserole, yet here I was sitting in a little house on wheels some 8,000 miles away on a former island penal colony! But, by design, this was no ordinary Christmas. I had intentionally scheduled my trip over the holidays to experience something different, and I couldn’t wait to see what Tasmania had in store for me. I had nearly four days and three nights ahead of me and knew only where I’d spend my first overnight—Cradle Mountain National Park. 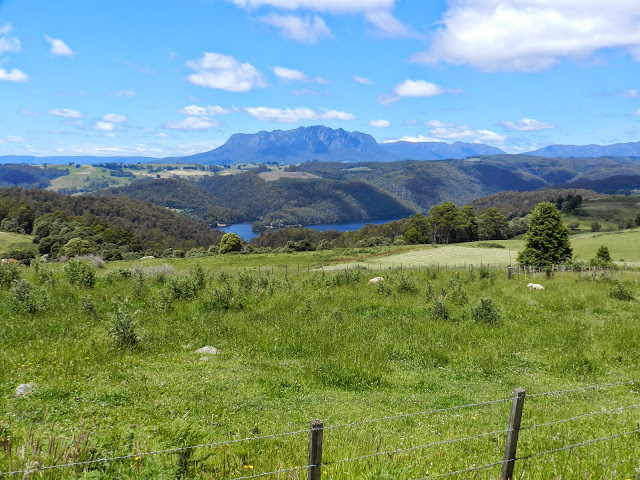 The drive from Devonport to Cradle Mountain’s caravan park is about 80 km, but given my vehicle size and Tasmania’s winding roadways on top of getting lost a couple times, I arrived in about three and a half hours. The passing landscapes of cattle and sheep paddocks, poppies and trees were a refreshing change from Melbourne’s concrete and urban bustle. As I made my way towards the mountains, I couldn’t get over the fact that it was just me, my camper van and the open Tassie road. And literally “open road” since most locals were at home celebrating with family and friends. In front of the caravan park office, I found an envelop with my name on it, inside containing a map and instructions. A modest gravel road led me deeper into the forest, passing secluded camp sites, curious wallabies and finally to site #9. Home sweet home. I clipped the tag from the envelop to my camp post as instructed and prepared for an afternoon hike. My camper van and I were like new best mates by now. I was equally as excited for an epic Christmas hike as I was about preparing a Malaysian curry dinner and glass of Australian Shiraz with my van. 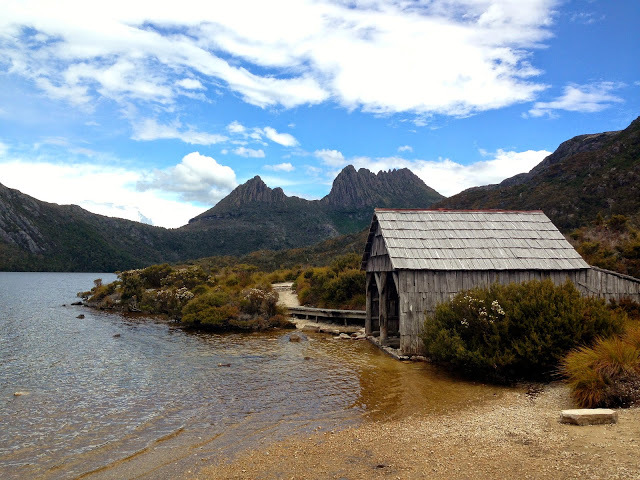 As one of Tasmania’s iconic wilderness areas, Cradle Mountain National Park woos and enchants its visitors, myself being no exception. After bushwalking through stretches of unmaintained trail, the path opened up to golden blankets of button grass, craggy eucalyptus trees, and feeding wombats and wallabies. Dirt gave way to a wooden boardwalk that seemed like my own yellow-brick road. The air was fresh and slightly cooled by a gentle breeze. A trail runner passed me at one point, but other than her, I was alone in the woods—happily. And, it was blissfully quiet. I listened to the sound of my footsteps on the boardwalk and then of a wombat feasting on button grass. Leaving him to enjoy his dinner, I skipped down the wooden planks for several meters humming whatever melody came to mind. Back in the van, I covered the table with my Thai sarong, set my iPhone music to shuffle, poured a glass of wine, and started in on chopping veggies. A curry a never tasted so good. A couple days later, once mobile reception and the time difference matched up, I phoned my parents back home to wish them a Merry belated Christmas from Freycinet National Park. They had just returned from visiting family in Canada and were exhausted from driving through heavy rains on I-5, our 12-lane interstate. 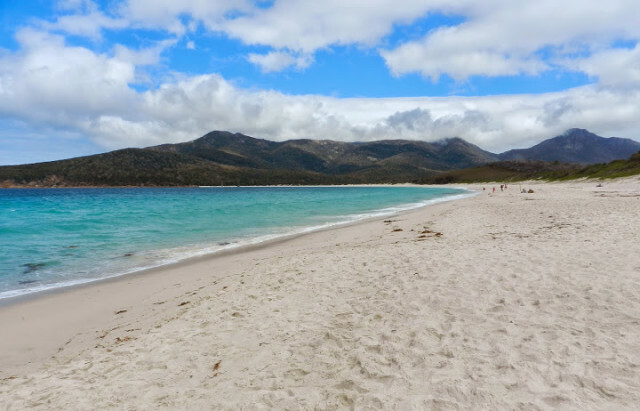 I had just finished a hike to Wineglass Bay and a refreshing dip in Honeymoon Bay. As I described my Tasmania adventures, I laid reclined on flat granite rocks with my toes dangling in aqua-blue waters. My day had included: breakfast tarts at the bakery in Ross (population approx. 270), rocking out to my music playlist in the van, road-side cheese tasting, an invigorating hike, and an afternoon swim. I now felt comfortable driving the van, plugging into an electrical supply, filling up the water tank, shifting with my left hand, and securing the inside doors and cabinets before driving (as to not have pots and groceries flying about). I felt so at ease in my little home, and I was falling in love with the beauty and energy of Tasmania. Knowing I had only one more night of camper van life was a sad realisation. I could have traveled around Tasmania like this for another month. Post camper van trip, I stayed in Hobart for four days—just in time for the Sydney to Hobart yacht race—and had a ball exploring the area and meeting new friends. In the end, there were no fender-benders and no roll-overs. I arrived an hour early to Hobart and was credited the $1,000 bond. Phew! After comparing what I could have paid as a normal renter, I calculated a savings of $1,266.82 AUD. In a sense, I suppose, it’s unfair to call this a savings, because the regular cost of $1,767.09 AUD is frankly not within a backpacker’s budget. However, I most definitely would pay $500.27 AUD again for this experience, and I would highly recommend it to other adventurous travellers. This post was written by Apartment Barcelona – an online rental agency with over 700 apartments in and around Barcelona for short and long-term stays. Are you a chic Born-dweller or an exclusive Eixample urbanite? When planning your trip to Barcelona, one of the biggest issues that you will come across is that of choosing the right neighborhood for your stay. With so many towns in the city, each one offering a distinctive cultural experience, it can often be difficult to decide whether you want a Gothic Quarter adventure or a Barceloneta beach vibe. Depending on whether you’re looking for a laid-back break, a see-all and do-all travel experience, or a mix of both, choosing the right location for your holiday apartment in Barcelona could mean the difference between a good trip and an incredible one. Take a look at the top five neighborhoods that not only offer a prime location for your stay, but also make it easy to explore all of Barcelona, without any hassle. These areas all have their own unique characteristics which ensure that your trip to Barcelona will be a memorable one. Located right on the coast of the Mediterranean, the seaside town of Barceloneta offers holiday-makers astounding sea views, as well as easy access to all of the sights in and around the city. A popular choice with many travelers, this area is perfect for those looking to make the most of the beaches in Barcelona. With plenty in the way of bars, shops and picturesque ports, this area is ideal for relaxing and taking a break from the hustle and bustle of city life. What’s more, the area is home to some of the best seafood restaurants in the city. By choosing a beach apartment in Barcelona, you are sure to make the most of the Mediterranean coast! For those who are intrigued by the longstanding history of Barcelona, the Barri Gòtic in the Ciutat Vella district is the ideal neighborhood in which to stay. Situated between El Raval and El Born, the Gothic Quarter is packed full of winding alleyways and picturesque plazas, allowing visitors to catch a glimpse of Barcelona’s rich history, from the ancient Roman walls to the medieval buildings. This area is known as the heart of the city and is also conveniently close to the famous Las Ramblas, as well as home to attractions such as the Plaça Reial and the Barcelona Cathedral. Want to get lost in a traditional Catalan atmosphere? If so, look no further than Gràcia, a quaint town where you will experience the very best in Catalan culture. The area is home to locally-owned boutiques, charming restaurants, and lovely plazas. 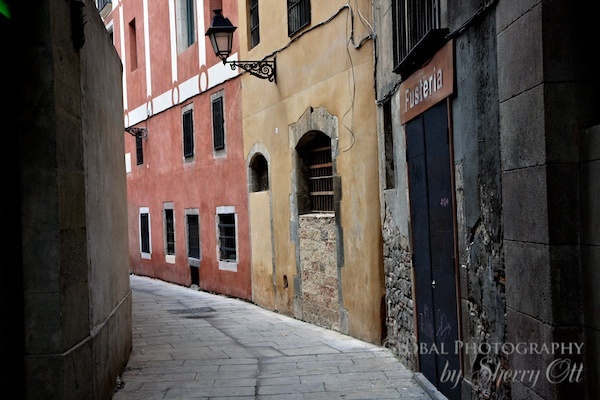 Gràcia has a “small town” feel, while still being in close proximity to the very city centre. Here, you will also be able to see the national dance of Catalonia, ‘La Sardana’, at various spots around the town, usually on Sunday mornings. At night, the area comes to life, and the trendy bar scene famously attracts everyone from students to celebrities. Consider yourself a Modernisme fanatic? Well then, Eixample is the perfect district for you. Home to many of Barcelona’s most renowned sights, here visitors can marvel at the towering Sagrada Familia, the colourful Casa Batlló, and the unique La Pedrera, all creations of the famous Catalan architect, Antoni Gaudí. You can also choose to enjoy a glass of wine in one of the many outdoor cafés, shop on the Grand Passeig de Gràcia or dine in some of the best restaurants in the city. Eixample is split into two neighborhoods (Eixample Esquerra and Eixample Dreta), each one offering plenty of attractions and charm. Renting an apartment in Eixample is the perfect choice for those who are interested in learning more about the life and work of Gaudí, while having some of the best sights in the city right on their doorsteps. One of Barcelona’s oldest neighborhoods, El Born, is home to many unique boutiques, museums, restaurants, and bars. Once a site for medieval jousting competitions, this area is now known to be one of the coolest ‘barrios’ in the city and is a hit with young residents. El Born is also home to the famous Picasso Museum, as well as the Santa María del Mar church and the Parc de la Ciutadella. Choosing El Born as the base for your trip ensures a perfect combination of history and modern culture. So, whether you wish to immerse yourself in Catalan tradition or soak up the Spanish sun on the Mediterranean coast, one thing is for sure, the neighborhoods of Barcelona certainly have something to suit the needs of everyone heading to the Catalan capital! Without a doubt, Lebanon is one of the most complex countries I’ve visited. On one hand, you have the cosmopolitan capital, complete with a seaside Corniche, trendy restaurants, high-end shopping, and colorful street performers. 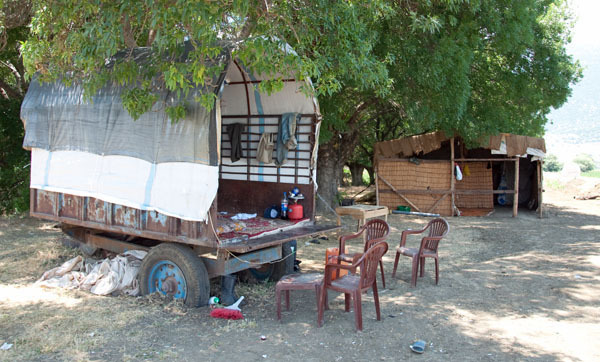 On the other, Lebanon offers a glimpse of an ancient rural life that still exists throughout much of the Middle East. About a year and a half ago, I was invited to Beirut to work with the nonprofit organization Baladi. 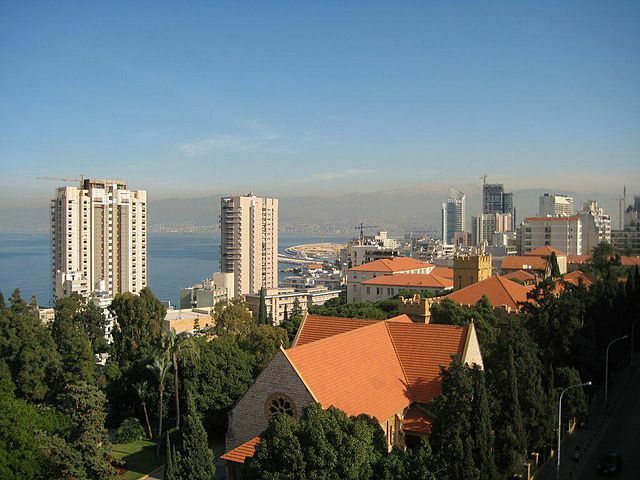 The organization is dedicated to preserving and promoting Lebanon’s heritage to youngsters by encouraging students to learn about their country’s cultural diversity and works to foster mutual understanding between communities. Baladi sees Lebanon’s shared culture as one way to peacefully address regional conflict. For my Lebanon visit, I accompanied my close Egyptian friend Inji, whom I met volunteering in Cairo the year before. She introduced me to her friends and colleagues in the country. I was most grateful for this personal introduction to a fascinating country. In addition to the diversity of landscapes, I found the people and the cultures of the region incredibly absorbing (justifying Baladi’s great pride in their indigenous communities). 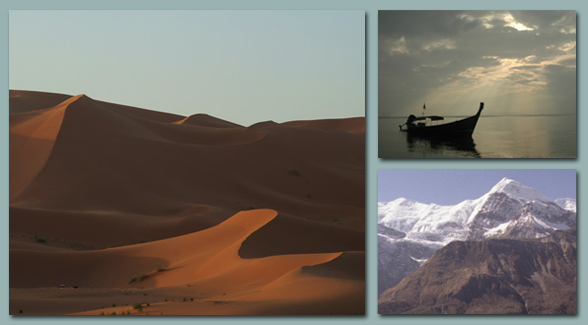 Here’s a snapshot of my impressions during my short time spent in this most remarkable country. One of the advantages of meeting in a private home is the ability to see a modern-Lebanese lifestyle up-close. Our friend Joanne lived with her extended family in a stylish apartment with sweeping views of the Mediterranean. I got the chance to meet her charming husband and her children. I especially enjoyed meeting Joanne’s mother. Our conversation was a bit stilted, with Joanne translating for me, but upon my departure she gave me a blessing to protect me during my onward travels. Looking back, I credit these heart-felt good wishes as one reason I survived my 2-year journey relatively unscathed. – After dinner one night, Inji and I were walking back to our apartment we heard a series of loud shots. We were uncertain if the noise was fireworks or gunshots or an incoming missile. We took cover under an apartment overhang, just to be on the safe side. – While strolling through the winding streets, Inji pointed out the main headquarters of Hezbollah, a Shi’a Islamic militant group and political party which is based in Lebanon. I kept my head down and eyes averted as we walked past the guards stationed outside. 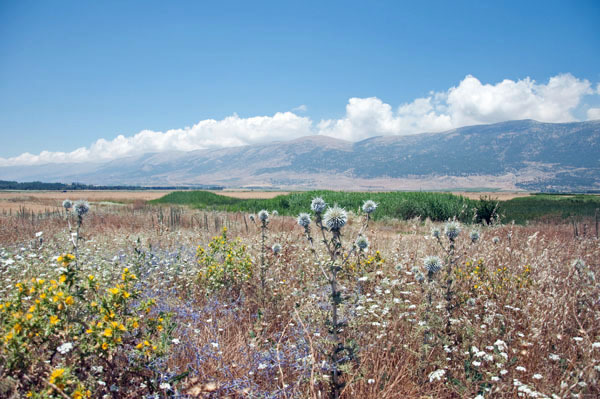 – Bekaa Valley: Here we visited a Druze temple, came across an itinerant Bedouin family living out of a wagon, and hiked through the fertile valley observing the natural wildlife and beauty of this biblical valley. – Baalbek: Formerly known as Heliopolis during the Roman period, Baalbek is an extremely well-preserved example of a temple compound from these ancient Roman times. Baalbek is also a Hezbollah stronghold, as evidence from the black flags and pictures of Syrian President Assad lining the streets, political murals on the walls surrounding the Roman ruins, and loudspeakers blaring revolutionary music outside a Lebanese military base. – Mount Lebanon: This mountain range which includes the highest mountain in the Middle East is covered in snow 4-6 months out of the year. I admit, I was dumbfounded to still see traces of snow on the ground in June. The mountains are also the known for their famous groves of cedar, Lebanon’s national symbol. 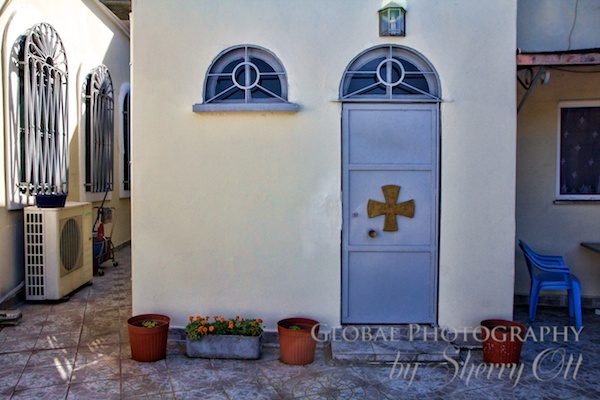 – Maronite Village: We spent the night here in a village nestled high on the mountains. In the morning we visited several ornate orthodox churches and observed the caves carved into the rugged mountainscape that were sanctuaries for monks seeking complete solitude. With more than 3 million Maronites (about 22% of the population), Lebanon retains a distinctive Maronite character. – Tripoli: The country’s second largest city, Tripoli was founded as long ago at 12th century B.C. and has a large Sunni majority (as evidenced by the preponderance of abayas and head scarves worn by the women). It was here that I had the best meal of my entire 2-year trip, a hand-made feast of full of lively mint and lemon flavors. – Do some good by lending my business development skills to a worthwhile nonprofit doing important work on conflict reconciliation in the region. – Visit and learn about a country I wouldn’t have necessarily traveled to on my own. – Benefit from a personal tour of the country to see first-hand the richness of the culture and the physical beauty of the landscape. – Make friends with local Lebanese, providing me with a window into their lives and some insight on the challenges they experience each day. – Push my limits of where I felt comfortable in terms of physical safety and erode some lingering stereotypes about Arab countries. Volunteering in Lebanon opened up a new frontier for me and helped me put into context the struggles that we hear so much about through the news. I consider myself truly lucky to have had this wonderful volunteer experience. A former finance executive, Erin Michelson is now an “Adventure Philanthropist,” who recently completed a two-year global giving adventure, visiting all 7 continents and exploring 60 countries. Volunteering with global non-profit organizations along the way, Erin helped build a house in the Philippines, a well in rural Uganda, and a library in northern Laos, sponsored secondary school education for a young woman in India and helped provide self-defense training for young girls in Israel. Read more about her experiences on Go Erin Go or follow her on Twitter @GoErinGo. Photo credits: Lebnen18, all other photos courtesy of the author and may not be used without permission. 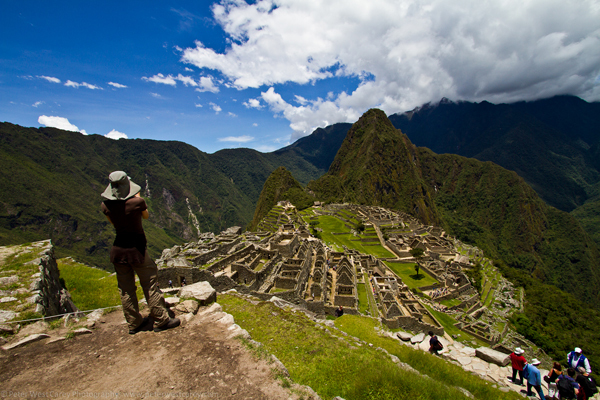 If you are thinking about taking a career break to travel and Latin America is on your itinerary, you might consider taking a few days to learn the language and to learn more about the environment you will be visiting. Personalized Spanish in Costa Rica offers a language and cultural immersion program that gives you the opportunity to do just that. We invite you to take this first step with us! 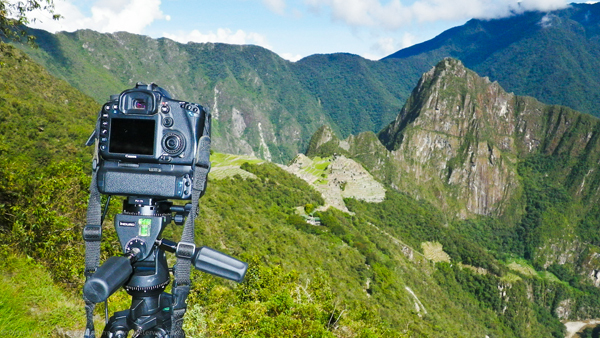 Traveling in Latin America needs some preparation. Learning how to communicate in Spanish while exploring Latin countries will open many new opportunities for personal growth. Our program allows you to have a meaningful experience that will be key during the rest of your trip, allowing you to better understand and participate in local cultures. Personalized Spanish is a school that goes beyond any other Spanish schools; class sizes of three or less allow us to provide maximum personalized attention. You will not only learn vocabulary, useful expressions and grammatical aspects of the language, you will have a real experience into Latin American history, culture, and flavor. Our typical day begins with morning coffee and discussion of Costa Rican expressions, current weather and news. After a couple of hours of class in the morning, everybody comes together to socialize in the main patio over tropical fruit drinks and snacks. We return to classes for another two or three hours and then enjoy lunch together. Afternoons are used to visit nearby historical and cultural places of interest guided by of our school teachers. If you choose to stay with a local family, your host family will be waiting for you with a nice cup of coffee, delicious dinner and conversation when you arrive home in the evening. We offer weekend trips to enjoy the rest of the country, including visits to historic sites, national parks, volcanoes and beaches. 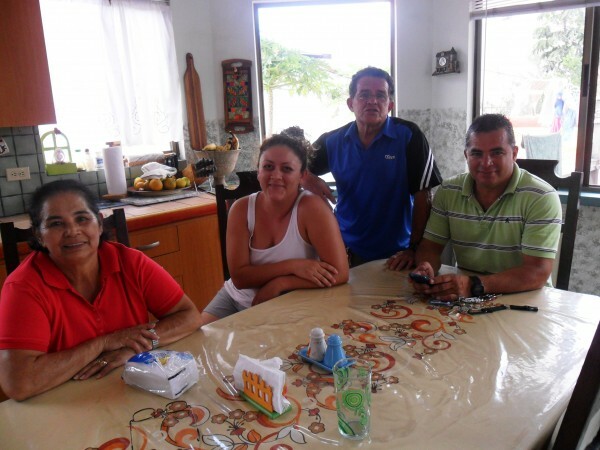 Costa Rica is well known for its stable democracy and peaceful traditions. 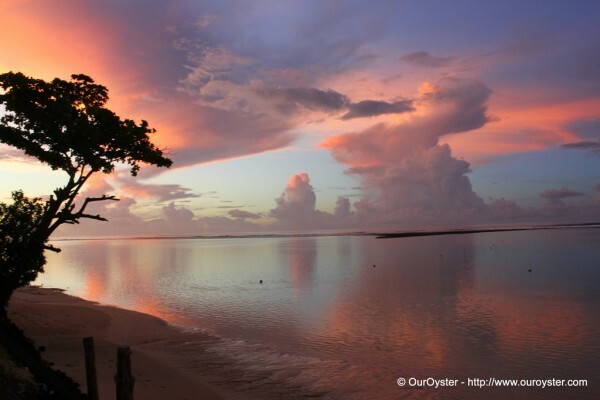 It is also safe for travelers to visit and is one of the planet’s most biodiverse countries. Stay with us at least a week to get you started, or stay for a longer period in order to get deeper into our cultural experience. ♦ Learn historical, cultural, and basic languages concepts. 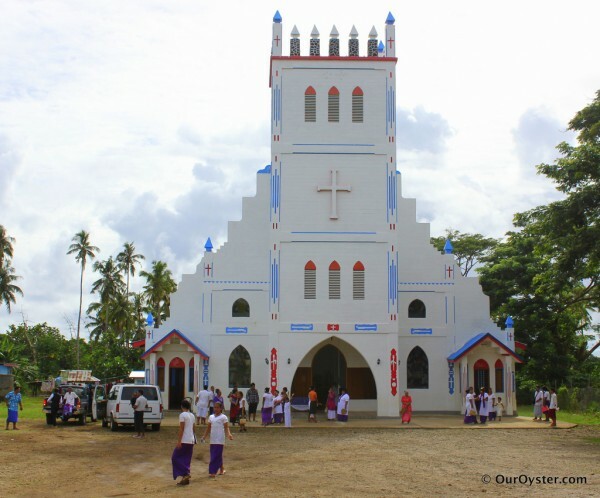 ♦ Learn about fiestas, social, political and religious life. ♦ Sample a variety of our food and drinks. 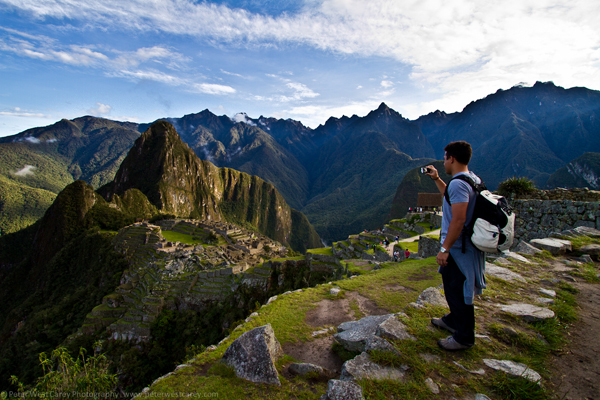 ♦ Recognize the many cultural differences and patterns in Latin America. ♦ Airport pick up, internet access and wi-fi and international calls. ♦ Specialized services related to volunteer placement in local organizations such as schools and churches. ♦ Home stays, including two hearty meals, laundry, private room and wi-fi. 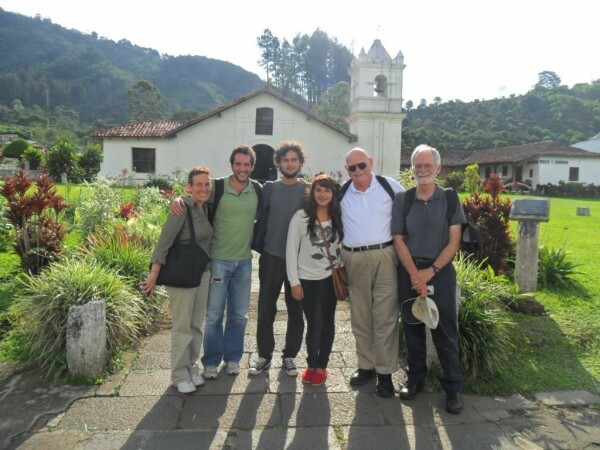 ♦ Personalized Spanish offers you the opportunity to register for two weeks in our Standard Spanish and Cultural Immersion program and receive a free adventure weekend for one person that includes: visiting the world famous Arenal volcano, relaxing in a hot spring and feeling the adrenaline rush of a zip line. 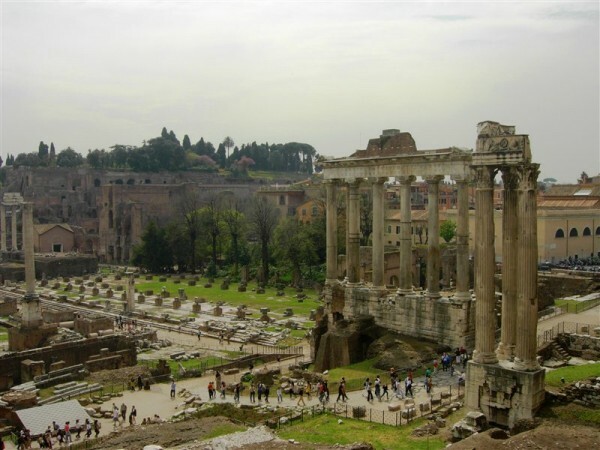 The following is a destination post by Oh Rome. Rome is an incredibly divisive city. Some love the hustle, bustle, noise and chaos of the Italian capital; others are overwhelmed by it and flee for the relative serenity of the nearby coast and countryside. 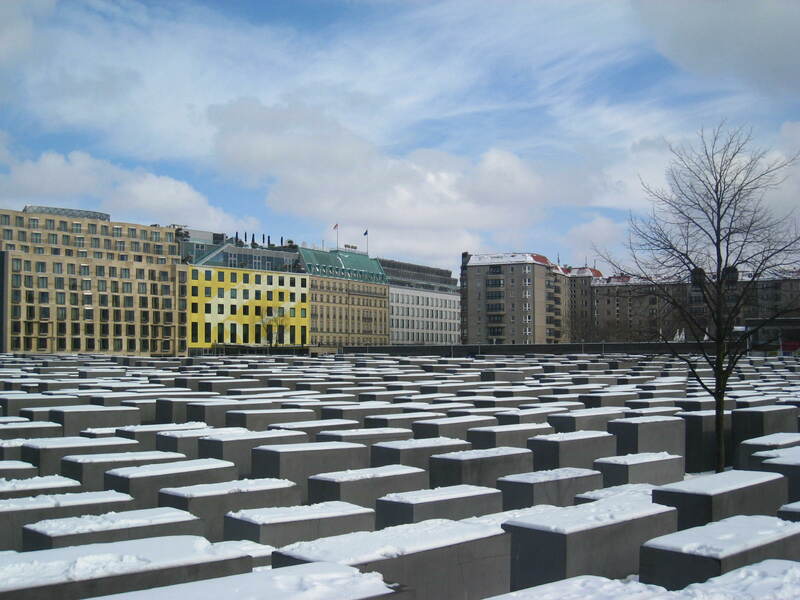 For this reason it is very important to find out about the city and understand it before visiting, particularly if you’re planning to stay for more than a few days. Finding accommodation and settling in to the city can be difficult if you’re not really sure what to expect and the culture shock can be huge if you’ve never visited a southern European city before. 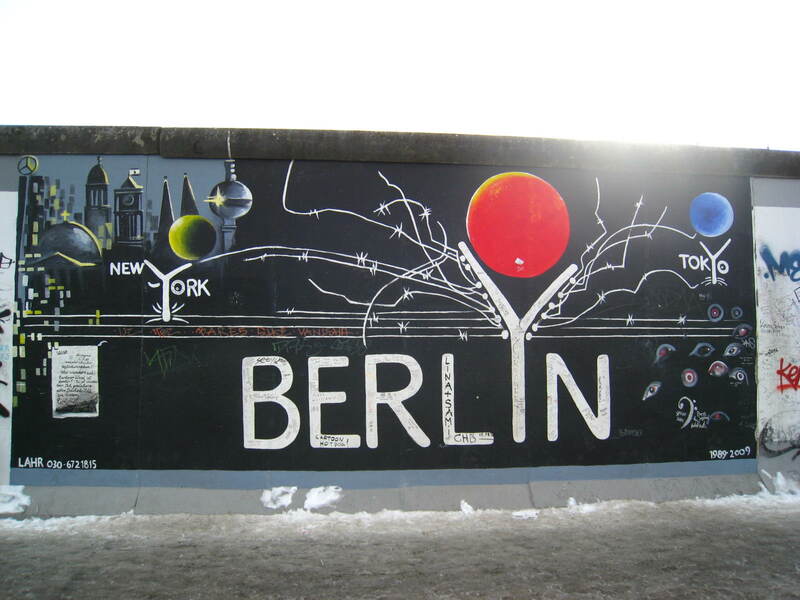 As in most major European cities, an apartment rental is the best option if you’ll be in town for more than a few days. They offer a shortcut to the heart of Roman society and allow you to feel part of the city even when you’re relaxing in bed with a good book! If you’re going to be in Rome for less than two weeks, then an apartment rental agency is the place to start your search. Most will have in-depth guides to the areas of the city and be happy to answer any questions you have about the apartments or areas of the city. Oh-Rome also offers floor plans of every apartment which can be useful when you’re trying to work out how much space you’ll actually have. Guests coming from North America will likely find even the largest apartment in Rome to be a bit on the small side. Rooms and apartments for longer-term rental can be found on Craigslist, which can be an easier option than dealing with an Italian real estate agent on your first days in the city. Do be sensible, though, and avoid handing over any money before you’ve seen the room. If you’re only in Rome for a short time, consider an apartment in one of Rome’s central districts like Prati or Ludovisi. Apartments here will be more expensive than elsewhere in Rome but if you look carefully you may come across a hidden gem. 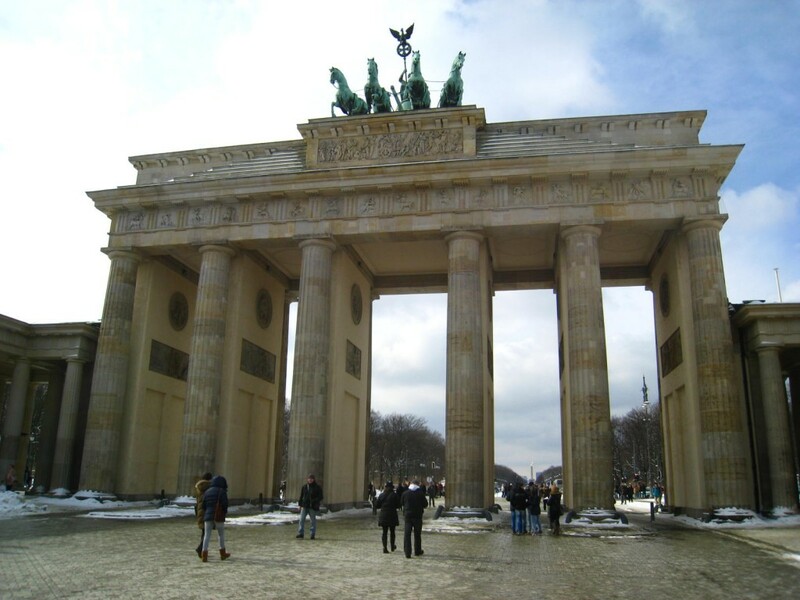 Plus the ability to walk to the city’s main attractions (or perhaps stumble home) is invaluable. If you’re staying for longer, you might widen your search to include Monteverde or the up-and-coming northern area of the city. By staying here you’ll not only pay around 25% less in monthly rent, but will see a far more authentic slice of Italian life than you’d find in the tourist-dominated city centre. Rome has a fantastic selection of restaurants, bars, cafés and other eateries but unless you know what you’re looking for then it’s all too easy to end up in an overpriced tourist trap serving mediocre microwaved food. 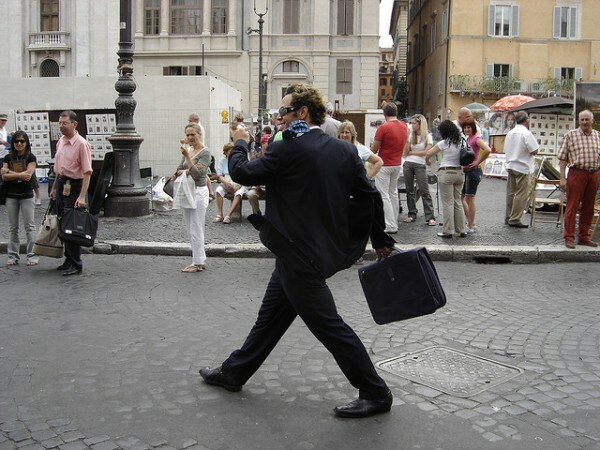 The best way to avoid this is to follow the locals and eat when they do (early lunches and late dinners are the norm in Rome). TripAdvisor and Yelp, for example, have a huge number of reviews and recommendations. If you’re looking for a quick lunch, head to a Tavola Calda (literally a ‘hot plate!’). These serve an excellent range of traditional Italian food and will generally offer lunch for under €15 per person. Volpette Piu near Pyramide metro station is an excellent choice if you’re looking for Italian specialties whereas those looking for some more exotic flavors should visit Fal Fal near Porta Furba metro. If you’re craving something a bit more special, keep an eye out for an ‘osterie’. These are the typical family-run Italian restaurants that feature in movies, advertising and the dreams of romantics everywhere. While there are fewer of these in Rome as there once were (and some have now become tourist traps) there are still plenty around if you look hard enough. Osteria La Gensola, which specializes in fish, offers excellent quality food for around €30 per person including wine. Rome’s food markets are legendary for a reason. The market at Campo dei Fiori has so far resisted the relentless push of mass tourism and remains the best place in the city to pick up fresh fruit and vegetables, meat, fish and Italian specialties. Budding chefs looking to add a more exotic twist to their meals (or maybe just looking for a taste of home) should head to the Mercato Piazza Vittorio which is very popular with the city’s growing ethnic and immigrant communities. If you’re staying in an apartment then be sure to check out delis and other food shops in the local area. Don’t be shy about asking neighbors or other people you meet for their recommendations. There are very few Italians who won’t get into a passionate debate over who makes the best pasta! Finally, don’t hesitate to visit the local supermarket to pick up some of your provisions. This is after all where the locals truly do their shopping! Grocery stores in Rome range from small family-owned shops selling basic essentials (these are generally open long hours) to huge hypermarkets selling everything under the sun and much else besides. The Auchan at Porti de Roma is a good choice if you’re looking to do a big shop. Otherwise just keep your eyes peeled. A supermarket is never far away! Rome is an incredibly popular destination for expats, gap-year students and other career breakers so check through your Facebook friends, Twitter followers and LinkedIn connections in case anyone you know is already there. It happens more often than you’d think! 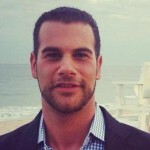 Otherwise language exchanges and Meetup.com are great ways to find new people and improve your Italian. Finally (say it quietly…) it may even be worth visiting an Irish pub. Conversation will be easy and they are excellent places to trade experiences with fellow travelers. 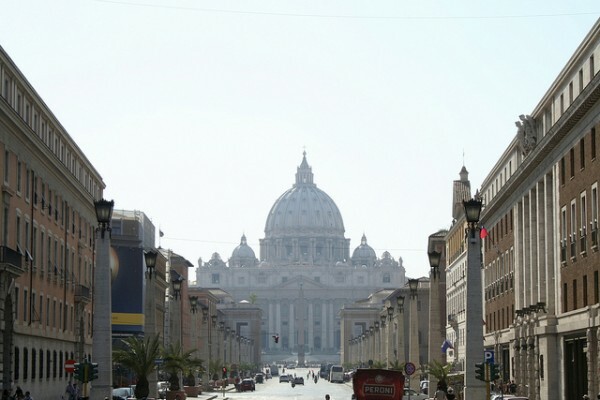 It’s difficult to know exactly what you’ll make of Rome until you arrive. If you’ve previously been to Spain or Portugal then you’ll have some idea of the culture and pace of life you’ll encounter in the Italian capital. Rome may be the best city you’ve ever visited but do your research first to know what you’ll find when you get there. Make sure you have somewhere to stay for a few nights when you first arrive as finding accommodation can be very tricky during the summer months. Don’t be afraid to start talking to people. Italians are (generally) a very friendly bunch and most will be happy to help improve your Italian (and their English!). Finally remember to make the most of every minute of your career break and do your best to avoid falling into an English language bubble. Throw the smartphone away, leave the map at home and take time to explore the city on your own terms; you never know what’s around the next corner!